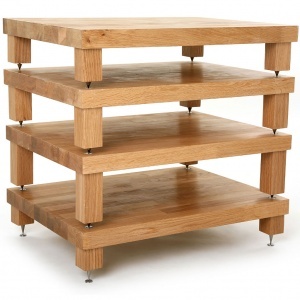 Individual Top and Mid Isolation plinths help to reduce vibration from your Hi Fi separates. 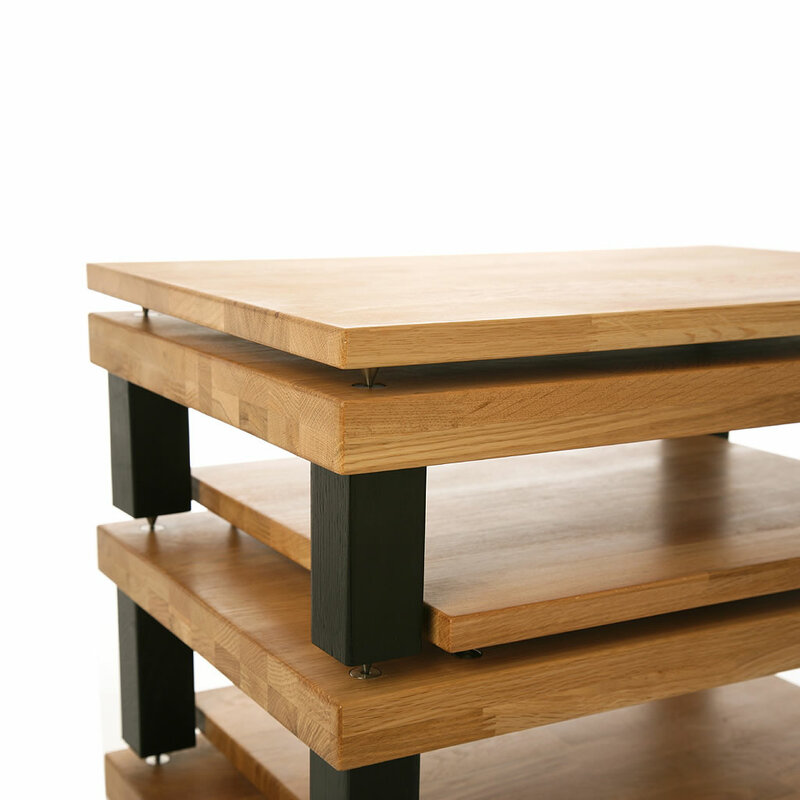 If adding isolation plinths remember these are made in 22mm and 40mm thick oak. This is available in the following stains: natural, black, white, cherry, walnut or mahogany. Please note that the stains will not be an exact match to the other solid hardwoods.